Back in an AWD....Oh the grip! So I thought it was time I posted something up about this. The car has been sat on the driveway for 3 years now (and still starts first time on the old fuel). It had a headgasket problem so I ripped it apart and fitte a new HG but alas a week later it went again. 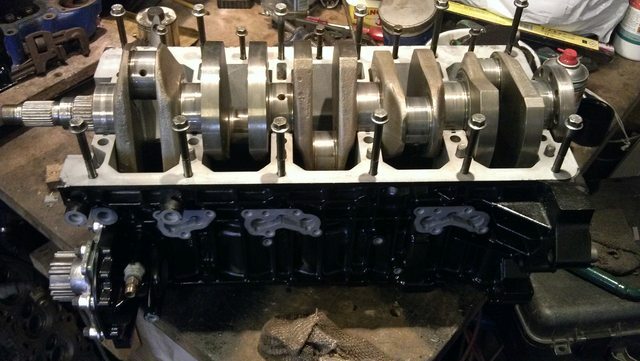 So instead of messing about I purchased another engine off ebay and set about stripping it to renew the gaskets and seals to save doing it in the future. The engine as it was when I retrieved it from Leicester. Unfortunately I got within 50 yards of home and the trailer hit a bump and bounced the engine, which cracked the sump. 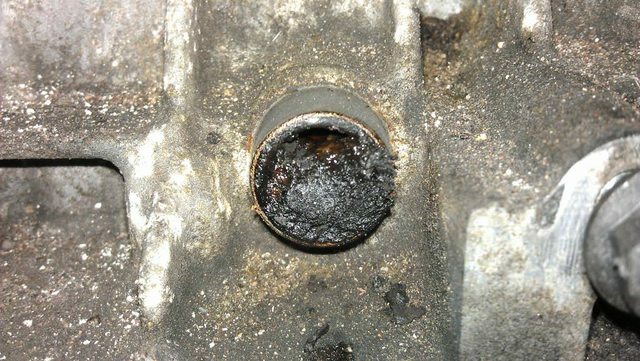 So I'm going to have to either get another sump or take the one off the engine in the car. So the whole thing was stripped down and then my daughter arrived so the engine build was put aside. Then in August last year I decided to get on with it. 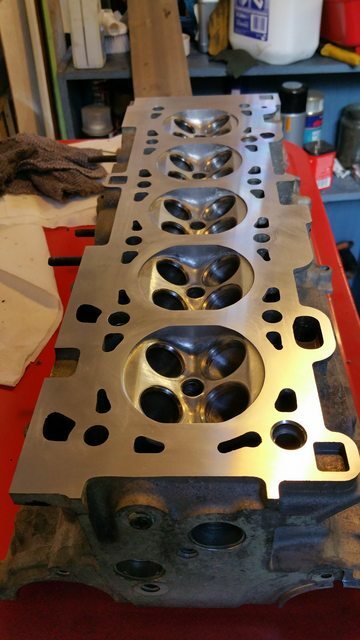 Please excuse the crappy pictures, seems my phone lens needed cleaning (also spot the A series cylinder head...). Bought these rods a while ago, thought it only fair to use them..
New intermediate section bolts too. 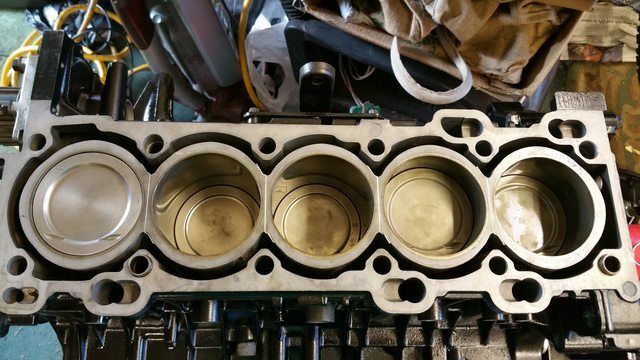 Pistons in and everything tightened up. 1996 Nautic Blue 850 AWD - Failed its MOT, now it's a donor for the green thing. Cars : 2009 VW Passat CC 140 CR & 2015 VW Golf R. Uploaded Albums. Past Statuses (Or is that Stati?). Past Posts. 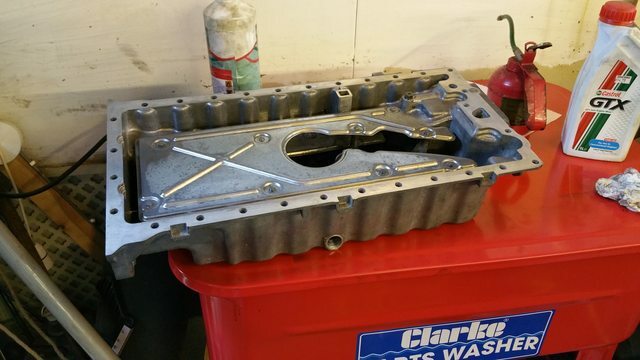 Big thanks to Molet5-r for supplying me with a sump pan to replace my broken one. All cleaned up, sprayed and fitted. The head is being skimmed today. Looking forward to putting it back together and fitting it. Last edited by Dangerous Dave; Saturday 27th October 2018 at 16:16. Looks like it will be a nice engine. Thanks Colin, getting there with it slowly. The paint probably won't last long, but hey ho I did my best with it. Project rally eh? I'm a big rally fan & ex codriver/passenger. Any plans for uprated awd? 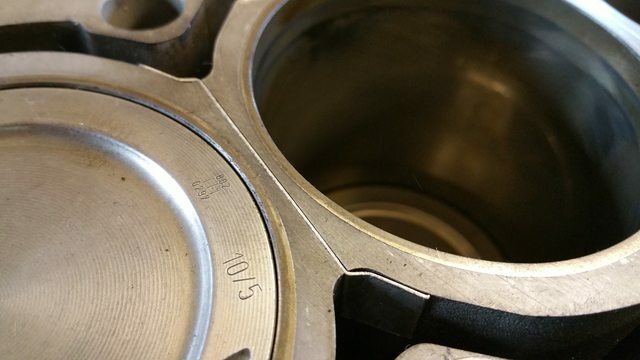 Looks like the engine is going to be a good spec. Good to see you back mate. 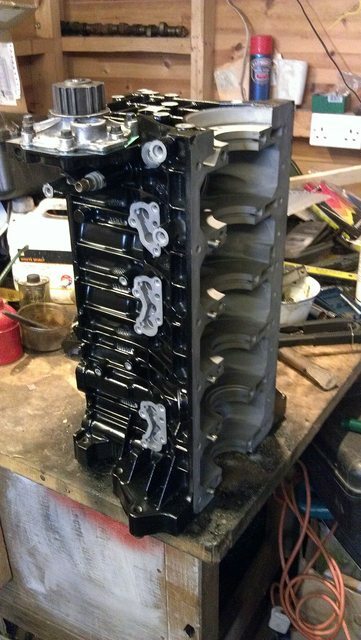 wow nice build mate and that sump looks way better than the last time I saw it, bet you cleaned a good pile of cr#p out of it, plus I did spot the 'A' series head in blue and a turbo casting as they would say in those sort of circles if I am not mistaken. 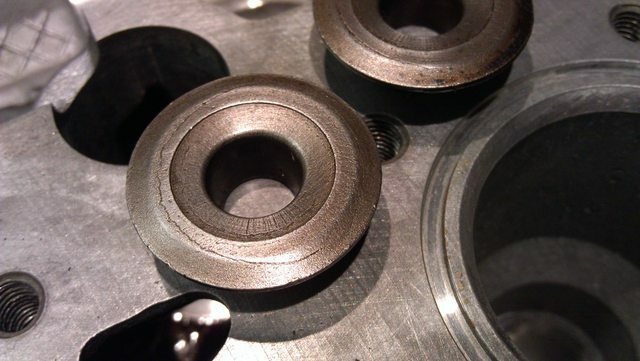 Did you balance the rods, crank and other internals? 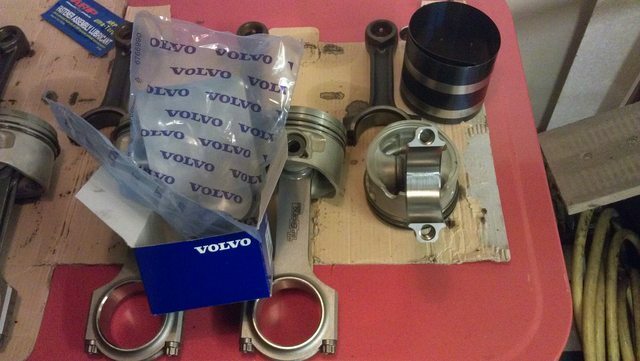 Join my projecteers tribe - Old Volvos Never Die - They just get faster. No plans to do anything with the AWD as yet, will be a daily driver. Can't wait to get back to some better grip. I'm afraid I didn't get that done, it did cross my mind when you mentioned it at the Two Henry's last year, but I decided against it in the end. Head came back today from it's skim, £20 and a cracking job. 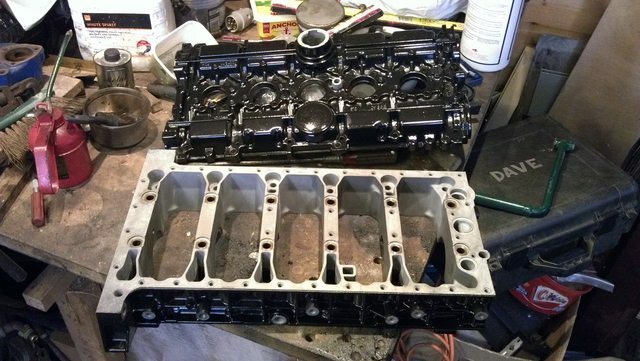 Now setting to work grinding the valves and putting it all back together. So I'm gonna speak to FRF tomorrow and see if I can get some replacements. Last edited by Dangerous Dave; Saturday 27th October 2018 at 16:38. I ran them all under the wire wheel to remove the crap and show up any issues. 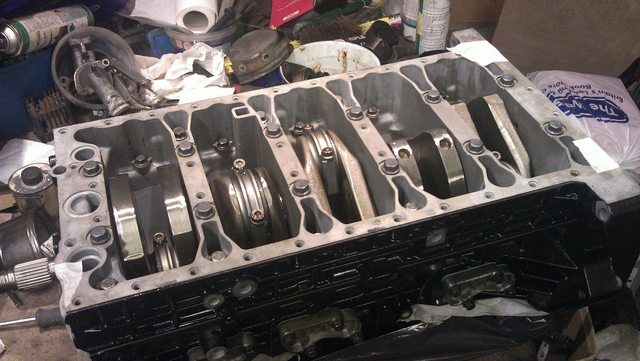 Valves all fitted, head painted and fitted to the block. Now having trouble with the tappets. Because they have been sat for the best part of 3 years they have dried up and some have corroded. 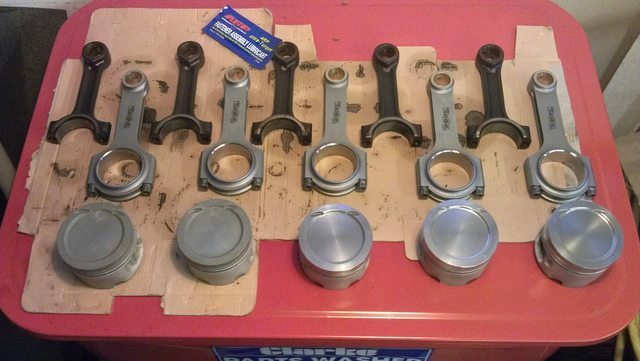 So I've binned the corroded ones and I'm currently taking apart the ones that are left to clean the crud out of the pistons. 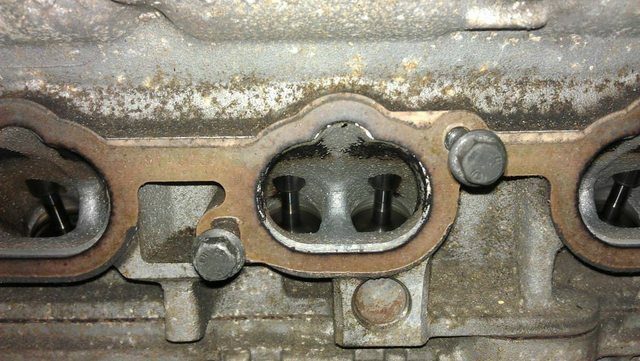 Involves a bit of force to get the pistons out but they eventually pop out. Yup, deffo a preventative measure needed. Cams in, cover on, sprayed some stuff silver, cam belt on, turned the crank a few times all good. 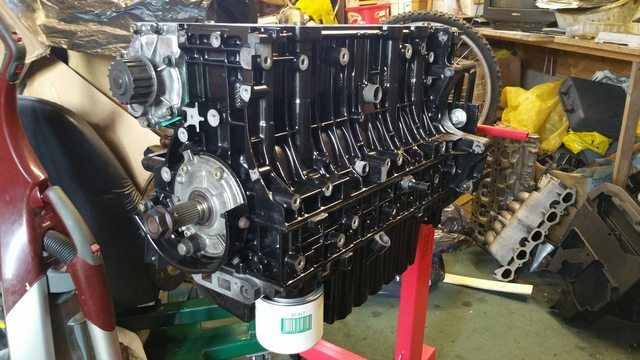 PCV, inlet manifold and some other bits on. Not much left to do, some bits I need to remove off the engine in the car to put on the new one. 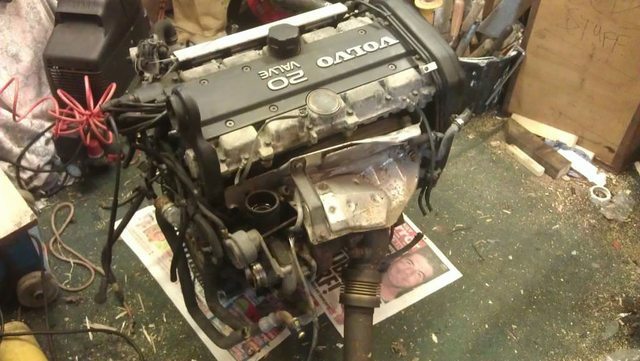 Have finally got the old engine out the car. Started stripping the AWD components and gearbox off. I've forgotten how heavy the gearbox is (the real reason is I'm not a fit as I was a few years ago). amazing these small changes that you would not normally even think about, these awd's really are a different breed...!! All times are GMT +1. The time now is 22:47.